Until some time ago, investing in such an advanced tool as a 3D dental printer represented the novelty and the risk of the most technological. There were not many laboratories and professionals in the sector that equipped themselves with such an instrument, despite the numerous advantages that an innovation like this represents. Today, however, the situation has definitely changed and the presence of digital in dental laboratories and dental clinics has grown considerably! The professional who starts using digital discovers many advantages, first of all the use of an optimized and precise working method. Thanks to companies highly specialized in the dental field, as Yndetech, an Italian company that deals with dental digital, it is now possible for dental technicians and dentists to keep up with the times and, indeed, to acquire innovative technology at a very competitive price. 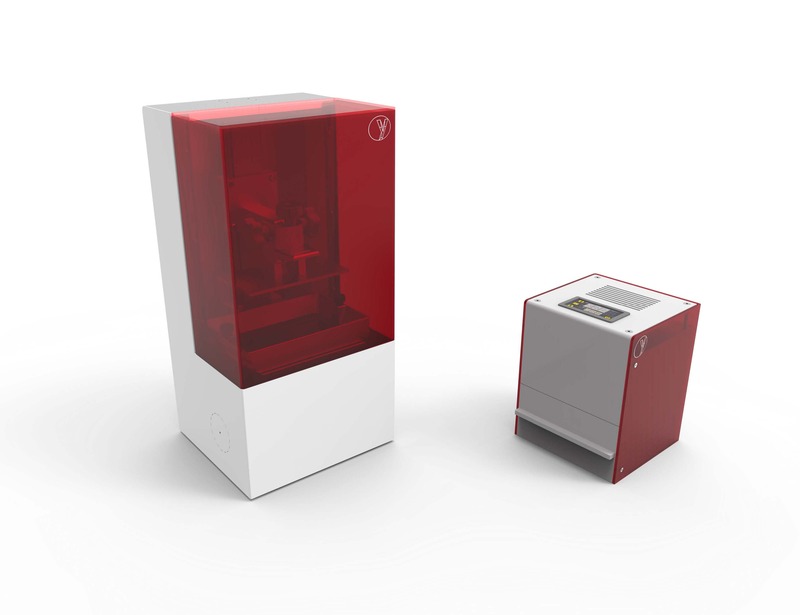 ynde.PRINT LCD by Yndetech, a versatile and compact 3D dental printer, is an excellent solution both from a technological and economic point of view. Innovative, precise and economical, ynde.PRINT LCD is perfect for everyone. But let’s get to the heart: the light emitted by a UV source passes through an LCD screen to light-cure the resin, and finally create your work quickly. In addition to easily finding room in any laboratory or clinic for its compact size, ynde.PRINT LCD is a design object that will not go unnoticed and you will not even have to worry about its consumption. The high-resolution LCD screen, in fact, uses the same amount of energy as a tablet or cellphone. In short, really the 3D dental printer that everyone dreams of! Ynde.PRINT LCD is also complete with ynde.PRINT UV, the polymerizing oven that makes it even more performing. Its small UV chamber is essential for stabilizing the resin-printed model. Yndetech offers numerous digital dental services and solutions, and has expert technicians ready to provide continuous assistance to accompany you in the digitization, now unavoidable for those working in this field, of your dental laboratory or clinic. If you are interested in the Ynde.PRINT LCD printer and Ynde.PRINT UV oven, you can send an email to marketing@yndetech.com or call 0721 1795140. Switch now to digital and choose ynde.PRINT LCD for your lab!